First, to get the most out of today’s guide, a beginner’s mind is essential. Regardless of what you’ve read or heard about meditation instruction, if you approach this guide with the mindset of a beginner, you’ll derive significantly more benefit. Okay, so what exactly is meditation? Meditation is the art and skill of paying attention. Various sensations are pulsing through your physical body. Waves of feelings are coursing through your emotional body. And that’s just in your inner terrain. In your external environment, there are sounds, moving objects, invisible electromagnetic waves from the device you’re reading this on, and so much more. But are you aware of all of this moment-to-moment information? Are you paying attention to your thoughts, feelings, sensations, and behavior in the here-and-now? One function of meditation is to help you pay more attention to what’s happening inside of you and around you. From moment to moment, if you’re already fully present and aware of your thoughts, feelings, sensations, and environment without judgment about yourself, your experience, or others, then you don’t need to meditate. Why? Because, if you’re already fully present and aware, you’re already meditating (even if you don’t call it “meditation”). So do we need to practice meditation and receive meditation guidance? For most, the answer is yes. Why? Because we live in environments of constant distraction and overstimulation. Since Abraham Maslow’s initial research, we’re becoming increasingly aware that neurotic behavior is present in most of us. True positive mental health is scarce. For the most part, we are unconscious of our behavior and what’s motivating our actions throughout the day. For example, let’s say you have a habit of checking Facebook often. Consciously, you might think it’s because you’re bored or because you don’t want to miss anything. Behind this explanation, however, there are factors you’re unaware of motivating this behavior. Perhaps you are unaware of your envy toward others. You might not realize that you’re comparing yourself to every person, profile, and post you read. Maybe you don’t feel how other people are looking down on you and how small a part of you feels as a consequence. This kind of stuff is what’s below the surface. And these types of unpleasant feelings drive much of our impulsive behavior. And so, for those us who want to live our values, get to know our shadows, realize our vision, and become more conscious adults, mind training and meditation instruction, in some form, seems essential. Paying attention is one of the most vital skills we can learn—something that touches every area of our existence. Now, you’ve probably already read or heard about the scientific benefits of meditation. Perhaps that’s why companies including Google, Apple, Nike, Target, General Mills, Procter and Gamble, and AOL Time Warner offer meditation training to their executives. Even sports franchises, like the Seattle Seahawks, have meditation programs. Okay, okay. We get it. Meditation is good for us. But if meditation is so good for us, why doesn’t everyone meditate? And even for those of us who have received meditation guidance and do practice it, why is there often still resistance? There are both psychological and physical reasons why most people resist meditation guidance and derived limited benefits when they follow the instructions. Let’s bring the psychological reasons to consciousness first. When the lazy archetype possesses us, you might think meditation would become more natural. After all, we’re just sitting there. But meditation is an active process that requires physical and mental energy. And our lazy part mainly wants to be entertained so it can “check out” and escape reality. When we run on autopilot, ignoring our emotional flow and energy expenditure, there are little reserves for meditation. For this reason, most people find it easier to meditate in the morning as we tend to have more mental energy at the start of the day. Regardless, a part of us (usually an adolescent part) fundamentally doesn’t want to sit still and pay attention. We revolted against this command back then, and this part of us still defies this directive now. The brother of laziness is the Achiever. And it too creates an equal level of resistance to meditation. 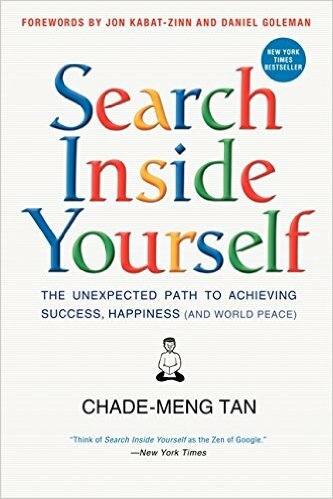 Or, if the Achiever believes meditation is essential for achievement (which is becoming a more common sentiment), it will put it on a list of things to do and then meditation to cross it off that list. The Achiever will also push you to meditate longer than you should. All of these unconscious drives create internal resistance and reduce the efficacy of your meditation practice. There are now many social groups (so-called “spiritual” or “new age” communities) where meditation is considered “cool” or the “in-thing” to do. Psychiatrist David R. Hawkins aptly called this a spiritual ego. These individuals feel special because they meditate. And these unrecognized drivers lead us to a false, inflated view of ourselves, which detracts from our meditation and creates resistance to cultivating a meaningful practice. 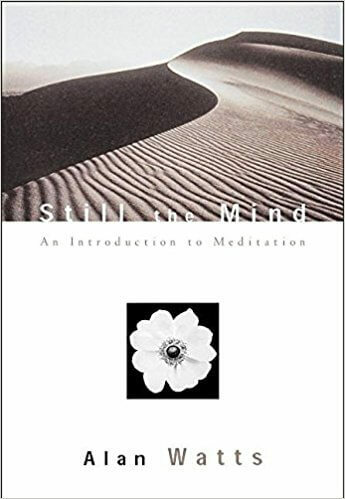 The unconscious message behind so many instructional meditation guides and the entire field of transpersonal psychology (that introduced the West to the benefits of meditation in the first place) is that you should meditate. “Meditation is a moral imperative,” the literature states. Essentially, the meditation community shames us into meditating. And if we don’t acknowledge this shame, it will silently limit or destroy our practice. So why aren’t you meditating? What’s wrong with you? Don’t you know better? It’s good for you. Do you feel shame now? Truthfully, I’ve come to observe that most people who meditate hate meditation. But the existence of this hatred isn’t fully known to them. Everyone would be neutral toward something like meditation as it’s a natural process. We develop an aversion to things because of how (and by whom) the ideas are introduced to us. In the beginning, every child is curious and interested in learning. The same is true here: meditation instructors hate meditating. And they transmit their unconscious hatred to their students. You see, as you get to know your psyche, you begin to realize that there are parts of you that love and parts that hate. There’s an opposite within us to every thought and feeling we consciously experience. For better or worse, that’s the wiring of our psyche. Psychological resistance to meditation instruction can be tricky. Many forces in the unconscious secretly rule our behavior, making it difficult to pinpoint why we often sabotage ourselves. But the physical barriers to meditation are much easier to address once we become aware of them. There’s an old legend of how the Shaolin monks learned kung fu. Initially, the monks spent their days in seated meditation in their Shaolin temples in China. In the fifth century, a Buddhist monk named Bodhidharma arrived from India and noticed the poor physical condition of these monks. After reflecting on this problem in a cave, he returned to teach them a series of stretches, movements, and standing postures to help open and strengthen their bodies. 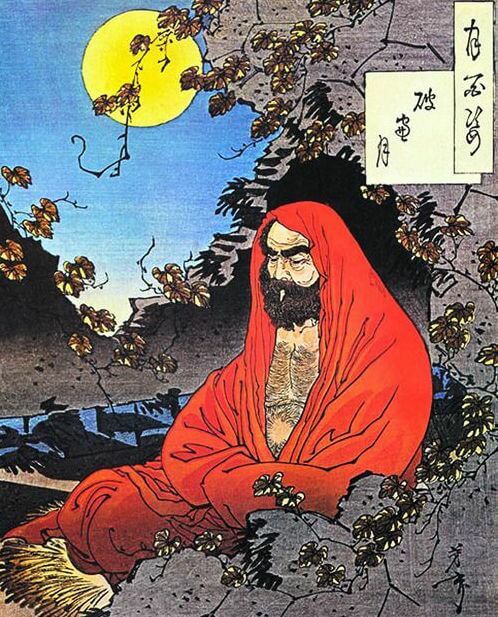 Bodhidharma explained that these exercises would support their meditative practices and their path to enlightenment. Chinese kung fu was born. Most people are in the same poor physical condition as these Shaolin monks were before Bodhidharma’s arrival. Almost all human beings in the modern world are disconnected and disassociated from their bodies in alarming ways. We live mostly sedentary lifestyles. And we mainly identify with our thoughts/mind, not our body. Our image-driven culture reinforces this dissociation. Surprisingly, even for those of us who engage in physical fitness or strength training, the situation is the same. You can be physically fit and still disassociated from your body. Most activities that take place in a gym, for example, actually work against our internal energy and physical alignment. They don’t foster a body-mind connection. Also, because of the stored neurotic tension, we hold in our bodies—what psychoanalyst Wilhelm Reich called “body armor”—we have energetic blocks throughout our physical bodies. And these blocks create tension (numbness or physical pain), causing us to hold our posture in unsupportive ways. In my standing meditation guide, I mentioned the importance of shaking. All mammals shake with tremors when they experience trauma. Humans do too, but we learn as children to suppress this natural mechanism. Instead, our bodies hold the emotions of traumatic events from childhood (which happened regularly). Trauma Release Exercises can help you release unconscious tension and open up your body. This process can measurably improve your ability to meditate. If your body is tight and your muscles are rigid, you’ll struggle needlessly with sitting meditation. Doing physical movements first will be far more productive and enjoyable. Most meditation guidance is mind-oriented. You are told to take a seated position and focus on an object (like your breath). However, if you focus on opening up your body first before sitting, meditation becomes a more natural process. As an example see OSHO’s Dynamic Meditation process. Although OSHO’s method might seem unconventional, I believe this type of physical process will be far more beneficial for most individuals (at least initially). Proper posture reduces fatigue, increases energy, and eliminates unnecessary distraction caused by poor alignment. Straighten your lower back. 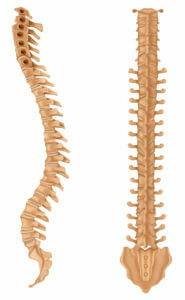 The spine has a natural “s” curve. The goal is to straighten the spine as much as possible. When you’re at the edge of a chair, slightly roll your hips under your torso to straighten the lower portion of the spine. Straighten the top of your spine. Slightly tuck your chin inward. Imagine your head being suspended comfortably from a string at the crown of your head extending into the sky. Allow your head to float above your spine. Slightly round your shoulders around your back. Your chest should be slightly concave. You don’t want your chest sticking out. Be sure to relax your shoulders. Keep your eyes slightly open with a soft gaze. Keeping your eyes fully open can lead to distractions and closing them altogether can lead to tiredness, fantasy, or oblivion. A soft gaze with eyes slightly closed provides the optimal conditions for meditation. Play around with these guidelines until you find a comfortable position. And check your posture periodically whenever you sit. Meditation is a method for building awareness. Awareness enables us to pay attention. Meditation creates a space between the experiencer and the Observer Self. And this space is essential for anyone committed to their personal development. The absence of this space means that we’re unconscious of many of our thoughts, feelings, and behaviors. Unconsciousness is the starting point of everyone’s process of individuation toward adulthood. And it’s for this reason that many thought leaders like psychologist Daniel Goleman promote meditation to business leaders. Goleman’s research illuminates that outperforming leaders have higher emotional intelligence than their peers (not higher cognition). Mind training can be a powerful way to build emotional intelligence or what’s aptly called self-leadership. But Jung had limited and incomplete translations of these Eastern texts. And this lack of information led him to believe that Eastern meditative practices were just for Easterners and Western practices (like psychoanalysis) were for the Western psyche. Jung was mistaken. The East had developed their psychology thousands of years before the West. And meditation was a cornerstone of their practices. Doing shadow work, for example, without a calm, centered, introspective mind is untenable. How would one develop such a calm-abiding mind without a method? This lack of introspection has been a fundamental problem in psychology since the birth of psychoanalysis over a century ago. Without a self-reflective mind, a psychologist (and layperson alike) lacks a foundation to observe oneself accurately. Certainly, meditation and psychological development go hand in hand, which is why mind training is an important topic for anyone committed to actualizing their higher potential. The idea is to focus your attention on one particular “object.” That object can be your breath, a part of your body, a repeated sound (mantra), physical sensations, your thoughts, or awareness itself. The object of focus isn’t what’s important; maintaining your attention on that object is. We’ll use the breath for now. Start by turning your attention to your breath. Notice how your body naturally breathes—inhale, exhale. Without attempting to control your breathing, witness your body breathing itself. When you notice your attention wander, bring your awareness back to your breath. Mindfulness meditation is the process of catching yourself in a mindless state and returning your attention to a mindful state. Notice how it feels to breathe. Focus your attention on the feeling of breathing. You can focus your attention on the sensation of the air passing through your nasal passage or the air entering your lungs. End this meditation after a minute or two. Now, if you’ve already experimented with mind training, here are valuable meditation instructions to improve your practice. 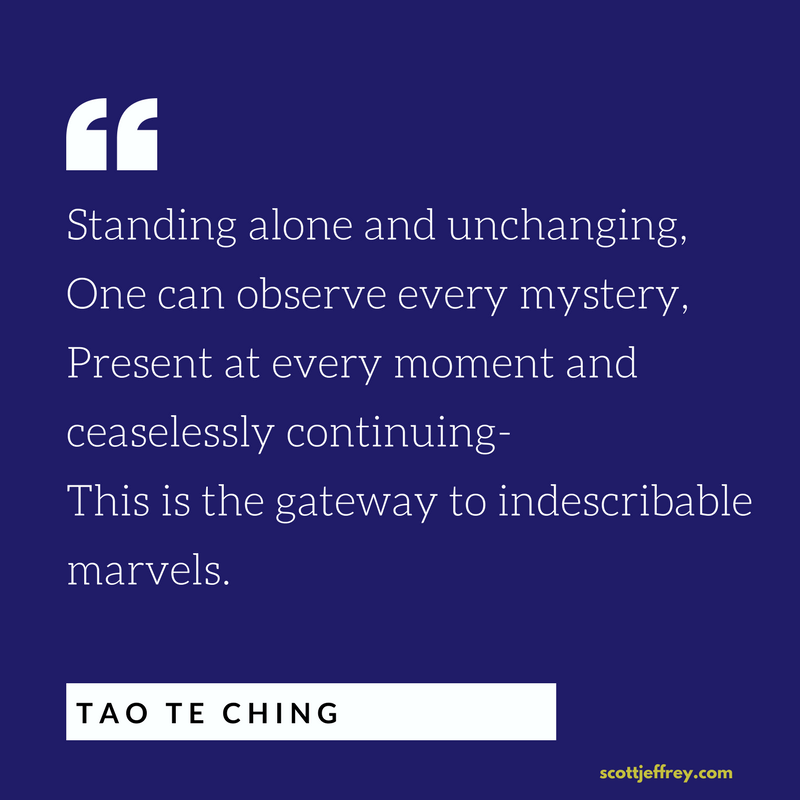 Even though I began practicing various forms of meditation 25 years ago, it wasn’t until I was introduced to Qigong about seven years ago that I began to gain deeper insights into meditation. Through practicing qigong and various internal martial arts, I began developing body awareness, becoming conscious of structural alignment and the movement of energy within the body. In particular, the standing meditation called Zhan Zhuang was and continues to be the most powerful and practical of these practices for me. And I would recommend it to anyone. If you learn how to stand in the proper alignment first, sitting meditation becomes infinitely more accessible. One of the main obstacles to personal mastery is our cultural obsession with moving fast. If you’re feeling edgy, go for a walk instead of sitting or standing. Walking meditation is especially practical during the day when the mind is highly active. Become aware of your pace, as it will often mirror the speed of your thoughts. By placing awareness on your pace, your cadence will eventually slow down, and with it, your mind will become more still. Instead of trying to meditate for longer, stop your practice earlier. If you leave your meditation practice wanting more, you’ll return to it again and again. Even sit or stand for only 30 seconds to a minute. The Achiever part in us is always trying. Trying creates tension. It takes energy to get into the correct posture, but then you have to let go of this effort too. Try meditating as early as you can in the morning or late at night. From 11 pm to 6 am is the period most conducive to falling into a meditative state. In Taoist practices, they call midnight the height of yin (stillness) while midday is the peak of yang (activity). If you wake up in the middle of the night, instead of checking your phone and exposing your brain to blue light, meditate. If you get frustrated, watch the frustrated part. If you find yourself wanting something, watch the part that desires. If you catch yourself thinking about a problem, watch the analytical part. We have many parts or archetypes within our psyche. But we are not these parts. When we observe these parts, we differentiate ourselves from them. This “space” enables us to stay neutral and aware. Do you jump right into your next activity? Or do you continue to move slowly, consciously, and deliberately? Just observe. And pay attention to how you feel and perform throughout the day. Do you notice less emotional reactivity? Are you staying any calmer in stressful situations? Are you more focused at work? Are you more aware of your internal dialogue? Not paying attention to changes in your daily experience is a subtle form of internal resistance to meditation. Avoid eating before you meditate. Even if you don’t feel your body’s energy yet, a lot is happening internally all the time. Food blocks the body’s energy and, as a consequence, it will disrupt your meditation practice. Whenever possible, meditate in an area free from technology. The more sensitive you become to your body’s subtle energy, the more aware you become of the effects electromagnetic frequencies have on your biofield. Hint: it’s highly disruptive. If you’re going to meditate in the morning, when possible, do so before touching any technology including your mobile phone. Test different methods for yourself until you find something that works for you. Make your meditative practice something that’s practical, something that relaxes you and leaves you feeling refreshed. Turning meditation into a chore fosters aversion. Deriving physical, mental, and emotional benefits from meditation will drive you toward it. Our thoughts are what keep us from being in the present moment. There’s a direct link between the frequency of our thoughts and our heartbeats. The quicker the heart beats, the faster our thoughts race (and the more neurotic we behave). While you can’t slow down your heart rate directly, you can do so indirectly through the breath. It’s all too easy to fool yourself with your meditation practice, convincing yourself that you’re making progress when you’re not. I did this for many years. I convinced myself I was becoming “more spiritually evolved,” when I was just checking out on a couch every morning. American Buddhist meditation teacher Pema Chodron confesses that she would “check out” during her compassion meditation training. She did this for ten years even though she was considered to be an “expert” in her community. The mind’s capacity for self-deception is infinite. Because humans transmit meditation instruction from mind to mind, we tend to complicate what’s, in truth, a natural and straightforward process. Whenever possible, go for a walk and observe nature. Stare at a tree, plants, the grass, or the sky. If you can become absorbed in nature as a healthy child can without mental instruction, you don’t need to meditate. Finally, be kind and gentle with yourself. Seriousness and frustration create tension. High expectations will detract from your meditation practice and give you an excuse to quit in the future. The more light and free you feel when you meditate, the more value you’ll derive from your practice. For a funny take on the modern meditation experience, watch this short video by comedian J.P. Sears. One last point I think is often overlooked in meditation guidance and instructions. A living method is something that’s integrated into an individual’s daily life and way of being. A dead method is something that’s performed mechanically as an automatic routine. Meditation becomes something people do in the morning or evening. And this practice is separate from the rest of their lives and how they behave. The real purpose of a meditation practice is to lay the foundation for cultivating a meditative state throughout the day. While many traditions get fixated on cultivating stillness, I’ve come to understand that the key to mind training is in combining stillness with movement. I don’t mean physical movement, but rather the flow of energy within our bodies. 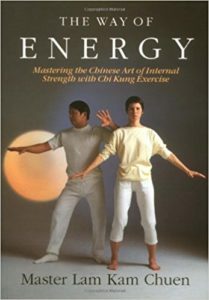 Qigong translates to energy skill. Learning how to move and sink the body’s energy is, in my opinion, the most important and commonly unaddressed aspect of meditation instruction and mind training. I developed a simple, yet highly effective process for busy individuals interested in learning how to cultivate this skill. This technique helps individuals access more of their higher potential on a consistent basis. You can learn it within 30 minutes and use it at the beginning of your meditation sessions. I call it The Mastery Method. View the details about it here. 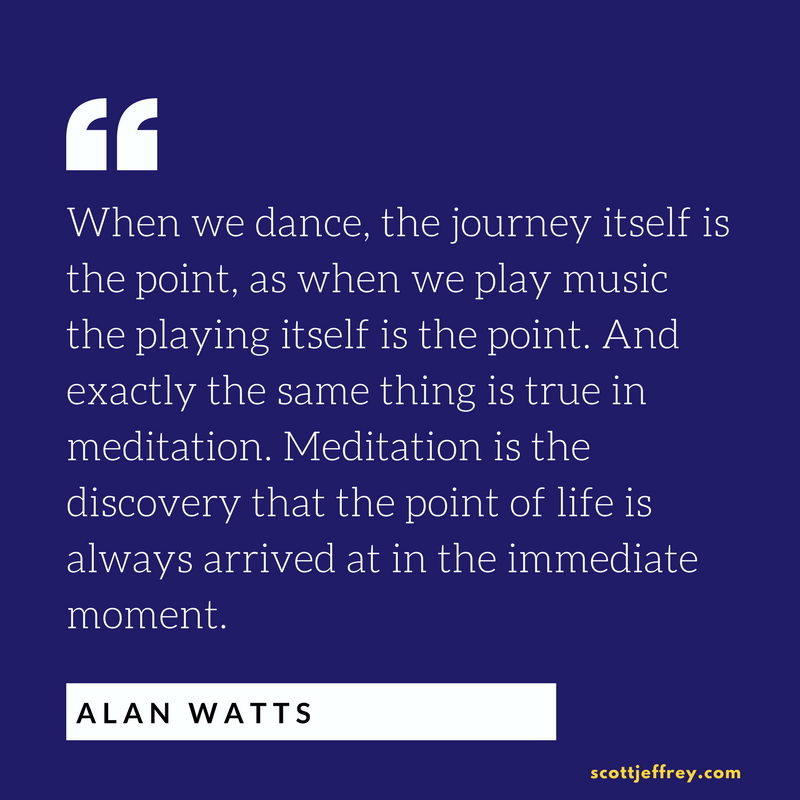 Finally, the video clip below is an excerpt from one of the lectures of American philosopher and author Alan Watts. It’s the best guided meditation instruction I have found on the Internet. Outside of D. T. Suzuki, Watts is mainly responsible for making Eastern philosophy (including meditation guidance) accessible to the West during the ‘50s and ‘60s. He’s one of the most prolific writers I’ve ever read, and he was equally engaging in his lectures. Notice how he brings you into the state of the Observer Self. As I mentioned above, Watts is one of the most prolific writers I’ve read. All of his books are insightful and engaging. This book is a selection of excerpts from Watt’s lectures compiled by his son. As I repeatedly mentioned in this guide, learning how to cultivate energy through standing meditation will make seated meditation infinitely easier. The Way of Energy is an excellent guide filled with vivid illustrations and minimal text.